Posted on April 5, 2018 at 5:16 am. Remove casings from Italian sausage. Cook garlic on skillet with olive oil on medium high heat. Brown for 20 seconds then add onion. Stir, cover and sauté for 1-2 min. When cooked, remove mixture from pan and drain grease. Heat skillet medium high and spray with cooking spray. 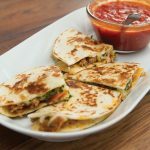 Place tortilla in skillet with mozzarella cheese, sausage onion mix, roasted pepper slices, basil leaves, and more mozzarella. Top with another tortilla and spray with cooking oil. Cook for 1-2 min and flip. 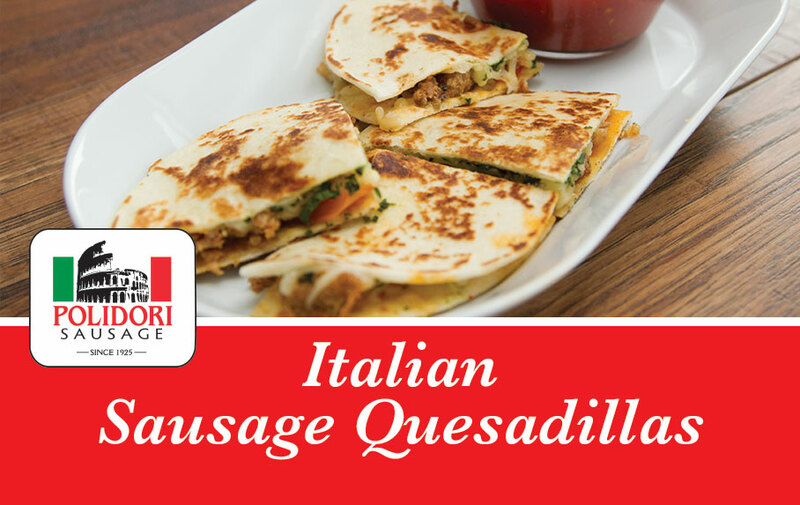 Serve: Slice each into four pieces using knife and serve with heated marinara sauce.